CROSBY  The local school board, by a 6 to1 vote, called for an election on Dec. 12 to ratify a tax increase of about $100 per year on $100,000 property. The increase (from $1.04 to $1.17) is in Maintenance and Operations, the portion of the school budget that deals with salaries, instructional equipment, supplies, fixing roofs but does not deal with existing debt from bond elections or building new facilities. That last portion, the Interest and Sinking, the board voted to decrease from 30¢ to 27¢ per 100 valuation. 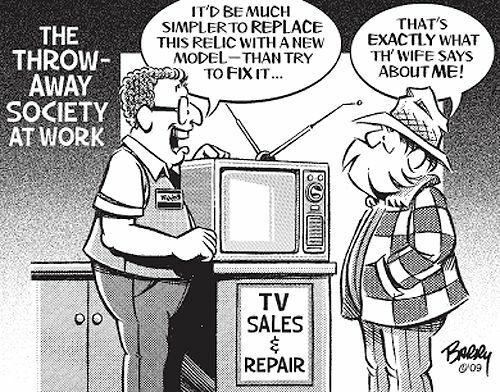 This was enabled by the increasing property values and increasing numbers of new property owners. The total overall rate currently is $1.34, and the proposed rate is $1.44 per $100 valuation of property. At the sparsely attended Sept. 21 meeting of the Crosby ISD School Board, Marley Morris, Principal of Crosby High School, presented a 4 minute video clip that dealt with some of the new instructional equipment that is lacking for students at Crosby High. One of the primary expenses calling for the increase is $2.1 million dollars in new technology equipment and a $300,000 budgeted annually for technology upgrades. The budget includes $220,590 in fire alarm and intercom systems, renovation of restrooms $220,884, and $175,000 in other new vehicles. Renovations are planned for the roofs of Crosby Middle School and the Administration building. Salaries increase 2.5% midpoint for all professional employees, $1235 for teachers and $43,051 first year salary. Joseph also said, The state of Texas will give to the district 60 cents for every dollar of local money raised in a Tax Ratification Election. In a bond election, the state would only give the district 30 cents for every dollar of local money raised. Gerald Blankenship motioned and Tonya Eagleton Seconded, Jo Ann Crawford voted against the call for election. Sgt. 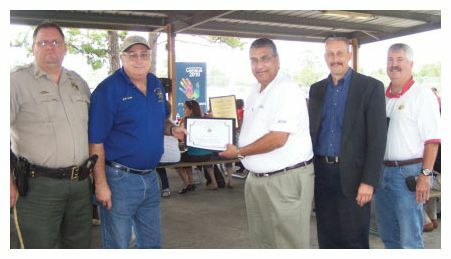 Mike Parson and Bob Ward, long time Beat the Heat members and friends of slain Houston Police Officer Henry Canales, Sr. present Fred Salinas, owner of Friendly Ford of Crosby a plaque at the Crosby/Huffman Chamber Of Commerce Picnic in the Park September 17. Also attending the presentation were HPD auto theft members Lt. Scott Dombrowski, Officer Jim Woods and Officer Louis Garcia. Henry Canales Jr. was able to represent his father by driving his daddys racecar in his fathers namesake memorial race in Washington D.C. on Sept. 11 and 12. Salinas offered a Ford F-150 Crew Cab to pull the trailer of the racecar to Washington and back. 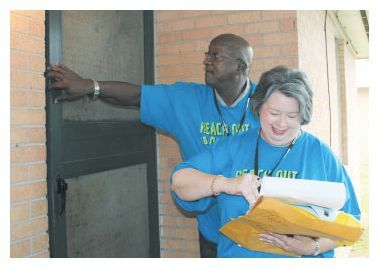 BAYTOWN  Goose Creek CISDs Reach Out to Dropouts Walk seeks to convince students who have left school to return and graduate. This is achieved through door-to-door conversations between targeted teenagers and district and community volunteers who come with a belief that everyone deserves a second chance  the dropout and the school system. Heres how it works: a group of volunteers headed up by San Jacinto Elementary Principal Becky Robins and San Jacinto Family Involvement Coordinator Sara Serrano knocked on a door of a home in old Baytown this past weekend. A man answered. He was the grandfather of a ninth-grade dropout. He said that no one was home. But after a few follow-up questions, her two sisters  who attend Goose Creek schools  came out the door. Robins asked them if their sister was home, and they answered yes. She was asleep. Go wake her up, Robins said. After about five minutes, a sleepy-looking young lady appeared at the door. After a few questions, the young lady said she was interested in returning to school. The young lady agreed, and the group went on their way. Robins said she thought about the teen all weekend. Why would she trust me? Would she be there? I was nervous, and Im sure she was nervous, Robins said. On Monday morning, Robins arrived and the teen  with notebook in hand  was ready to go. She re-enrolled in school that day. So far, 16 dropouts have re-enrolled because of Goose Creek Consolidated Independent School Districts second annual Reach Out to Dropouts Walk on Saturday, Sept. 12. As it is billed, Reach Out to Dropouts Walk is a program that recovers students who have not returned to school. Nearly 300 volunteers turned out for the Reach Out to Dropouts Walk this year. Teachers, administrators, and community volunteers went to the homes of 245 former students and made them aware of after-school programs that could help them finish their education. Most re-enrolled students will require tutoring. Some will need flexible schedules for work and school. More than a few will need day care for their children. And others will require all of the above. A 2007 report from Columbia Universitys Teachers College found each high school graduate provides a $127,000 net benefit in terms of reduced government spending and increased revenue. And according to the U.S. Education Department, workers with high school diplomas begin their work lives with about $10,000 more in earning power. Casey Martin goes up in the air for the catch during the Falcons game against Hamshire-Fannett Friday. Martin had seven catches for 101 yards in the Falcons 41-14 win. Casey also scored one touchdown in the game, on a 19-yard catch in the first quarter when gave Hargrave their first points of the night less than three minutes into the contest. Hargrave Quarterback Cole Deberry completed 21 of 25 passes for 373 yards with three touchdowns and one interception. The Highlands-Lynchburg Chamber of Commerce held their Annual Awards Luncheon last Thursday, Sept. 10th, and honored community leaders and public safety officials. and the Terry Davis Award, to Alan Hanagriff posthumously, for his dedication and love of the community, his willingness to give time and effort to others, and his joy of life that he shared with his family, friends and community members. 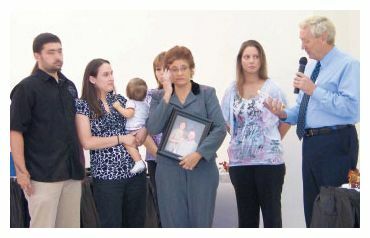 The Terry Davis Award was accepted by Alans widow and family members, about a dozen who were in attendance. As part of a thank you to the community, Ramona Hanagriff and Jennifer Nolan announced that they would have an Open House for the community, on Saturday, Sept. 19th and invited everyone to come. The newly elected board of the Crosby Fair & Rodeo raised awarding scholarships from five $3,000 scholarships per year to five $5,000. The board is preparing to host their Annual Membership Feed at the Fairgrounds on Saturday, September 19 at 5:00 p.m. Membership tickets for the 2009 2010 year will be available in October. Above are the newly elected board members and officers of the Crosby Fair & Rodeo, they are: Tannie Gillespie, Russell Rogers  President, Sonny ArmstrongFirst Vice President, Bill Busby  Treasurer, Heath Matthews, Doug Hall  Chairman of the Board, Eddie Glover, Jr., Rick Larkin  2nd Vice President, Billy NashGeneral Manager, Ralph Bartholow  Secretary. Crash call at the doctors office? CROSBY  The staff at Dr. Rob Rosenbaums Chiropractic office enjoyed brief rest for the Labor Day Weekend although the entire community glibly romanticized about beloved office manager, Mary Helen, getting married on August 29. 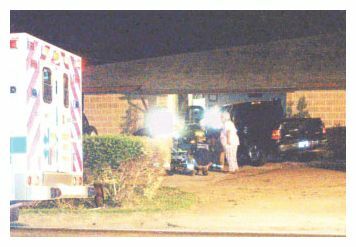 Newlywed Mary Helen Wolf and Jimmy Wolf got a call at about 3:00 a.m. Saturday that the office at which she works was crashed by a pickup truck off FM 2100 and that the entrance glass and part of the wall was smashed into making a security risk. She was called instead of the chiropractor because Dr. Rob Rosenbaum was on a trip to Africa. Her husband is a senior supervisor for Tellepsen, builders of hospitals and high rises, he knows a thing or several thousand about buildings. A neighbor, Luke Morgan, owner of Millennium Builders stopped by and he went and got power tools, levels, crowbars even hauled over his trailer to put debris in to haul to his dumpster. He also called his friend, Roy Loggins of Loggins Ace Hardware in Highlands and Loggins Lumber Yard at 5:30 a.m. to get the materials to seal the gap in the front of the office. On 09/09/09, the office reopened with minor physical modifications and a restored faith in human goodness. Somebody got lucky but it was an accident. EAST HARRIS COUNTY  This week President Barack Obama held a speech directed at school-age children. In a move unique to the White House the speech was held during school hours. Many students, however, did not get to see the address live with some districts in the area choosing not to show the address. Crosby ISD was an exception. Superintendent Mike Joseph said the address was broadcast live in campus libraries and auditoriums. Attendance was limited to those students who brought signed permission slips from home allowing them to see the speech. Joseph said that the district has policies in place to address controversial issues and topics and when the speech was announced he followed that policy. This is a parents right issue, he said. The school district sent home letters to parents as well as posting the letter on their website, which advised parents of their right to stop their child from participating in any school activity they found objectionable. Copies of the address will be provided to social science and history teachers to use in their classes, he added. The White House provided supplemental material for teachers to use in their lessons related to the speech. Crosby will not use the material, Joseph said. Huffman ISDs Superintendent Dr. Dog Killian said that his district would not broadcast the speech live. Since the speech was held during lunch, Killian said that he did not think teachers should be forced to readjust their schedule to fit the speech. Goose Creek CISD is also among the districts that did not broadcast the address live. Superintendent Dr. Toby York said that like Huffman he would not disrupt the regular class schedule to allow for live viewing. As I have visited our campuses the past two weeks, it is apparent that students are engaged in learning that has been carefully planned by teachers and staff. I appreciate all of their efforts in utilizing our instructional time so efficiently, Toby York wrote in letter sent home to parents. York said that principals and teachers would be provided with a copy of the broadcast for use in social studies classes in the same way they would incorporate other national event broadcasts into relevant instructional activities. In the letter to parents, they were instructed to inform the respective principals in writing by Sept. 4 if they objected to their child viewing the program. Campuses will provide an alternative instructional setting and activity for any student not viewing the broadcast, he added. York said that it was apparent that the President chose this particular date because it would coincide with the first day of school for many districts across the nation.